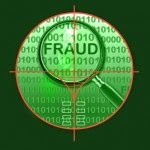 on Monday, March 11, 2013 "IRS Targets Israeli Banks and Their US Client;"
Now according to bloomberg.com's article entitled Bank Leumi Said to Face $300 Million Demand in Tax Case, the New York’s banking regulator will ask for more than $300 million to settle an investigation into whether Bank Leumi Le-Israel (LUMI) BM helped Americans evade taxes, a person familiar with the matter said. Benjamin Lawsky, head of the state’s Department of Financial Services, is seeking more than what the bank set aside to resolve a separate criminal investigation by the U.S. Justice Department. In June, Leumi said it allotted 950 million shekels ($254 million) for the federal matter, which would make it the first Israeli bank to settle a tax probe with the U.S.
Lawsky has taken a similarly aggressive approach with other banks. As part of a guilty plea in May by Credit Suisse Group AG (CSGN)’s main bank subsidiary, his office secured $715 million of the $2.6 billion penalty. Bank Leumi, Israel’s second largest lender by assets, said today it’s in talks with Lawsky’s department on a settlement, according to a filing with the Tel-Aviv Stock Exchange. It’s too early to estimate if an accord may be reached and a final settlement may be “significantly higher” than the provisions it’s already set aside to cover those costs, the bank said. Have unreported income from an Israeli Bank? Toll Free at 888-8TaxAid (888 882-9243 ). 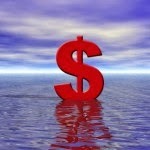 2015 Tax Benefits Increase Due to Inflation Adjustments! NRA's Can Structure Their US Real Estate Investments to Avoid US Estate Tax! The law firm of Rackemann Sawyer & Brewster describes the estate tax regime imposed on foreign individuals who own US residential property, which concludes that the 35 % Estate tax rate is charged on the entire value of the property that exceeds USD60,000. this US Estate Tax would be Eliminated! 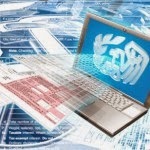 to Avoid US Estate Tax? Toll Free at 888-8TaxAid ( 888 882-9243). 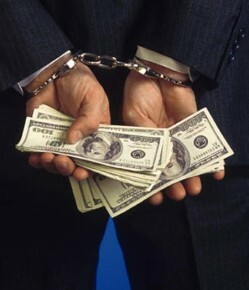 More US Taxpayers & Their Advisors Face Jail Time for Failing to Declare Offshore Bank Accounts! We previously posted "UBS Criminal Casualties, so Far and More Guilty Pleas Over Offshore Accounts in the Works! "where we discussed that the IRS hunt for offshore income and accounts continues unabated well beyond UBS. In fact, it’s intensifying and for those who don’t come forward before they are found, being found can be awfully painful. See list of UBS criminal convictions, so far. The advisers aren’t home free either, and that may be the most notable trend to note. It’s clear the IRS and prosecutors are looking more and more to advisers. Recently Forensic Accountant and certified fraud examiner Howard Bloomberg has pleaded guilty to willfully failing to disclose to the U.S. Treasury Department a foreign bank account he controlled in Switzerland. He faces the possibility of a maximum of five years’ imprisonment, up to three year’s supervised release and a fine of up to USD250,000 after pleading guilty to failing to report his interest in a bank account in Switzerland. “The Internal Revenue Service and the U.S. Attorney’s office will continue to pursue those who attempt to fraudulently obstruct or impede our Nation's tax system.” stated Veronica F. Hyman-Pillot, Special Agent in Charge, IRS-Criminal Investigation. According to United States Attorney Yates, the charges and other information presented in court: From 1997 to 2008, Bloomberg owned and controlled a foreign bank account with Union Bank of Switzerland AG (“UBS”), one of the biggest banks in Switzerland and largest wealth managers in the world. By 2001, Bloomberg’s foreign bank account with UBS had a high balance of approximately $930,000. Bloomberg pleaded guilty to willfully failing to file a FBAR for the 2008 year, even though that same year he wired over $540,000 from his Swiss UBS bank account to a United States bank account that he controlled. Sentencing for Bloomberg, 55, of Atlanta, Ga., is scheduled for December 19, 2014 at 10:30 a.m. before United States District Judge Thomas W. Thrash. 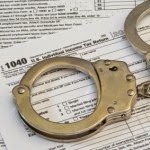 Also a Hampton, New Hampshire, man pleaded guilty in the U.S. District Court for the District of New Hampshire to filing a false federal income tax return for tax year 2009, the Justice Department and Internal Revenue Service (IRS) announced. According to court documents, Menashe Cohen, an oriental carpet dealer, and his sister maintained an undeclared bank account at UBS in Switzerland that had a balance of approximately $1.3 million. Cohen also maintained bank accounts in Israel and in Jersey, a British Crown dependency located in the Channel Islands off the coast of Normandy, France. Although Cohen's return for tax year 2009 reported that he had a financial interest in a bank account in Jersey, the return failed to report that he had financial interests in the accounts located in Switzerland and Israel. In addition, Cohen's return only reported $350 in interest income, when in fact he had received approximately $66,500 in interest income during 2009. In total, for tax years 2006 through 2009, Cohen failed to report approximately $170,000 in income earned from offshore bank accounts. In addition, Cohen filed a false and fraudulent Report of Foreign Bank and Financial Accounts (FBAR) for 2009, wherein Cohen reported he had bank accounts in Israel and Jersey on the FBAR, but failed to report his financial interest in the UBS account in Switzerland. Cohen faces a statutory potential maximum sentence of three years in prison and a maximum fine of $250,000 at his Jan. 26, 2015, sentencing. In addition, Cohen has agreed to resolve his civil liability for failing to report his financial interest in the UBS account on a FBAR by paying a 50 percent civil penalty to the IRS based on the high balance of his one-half interest in the account. 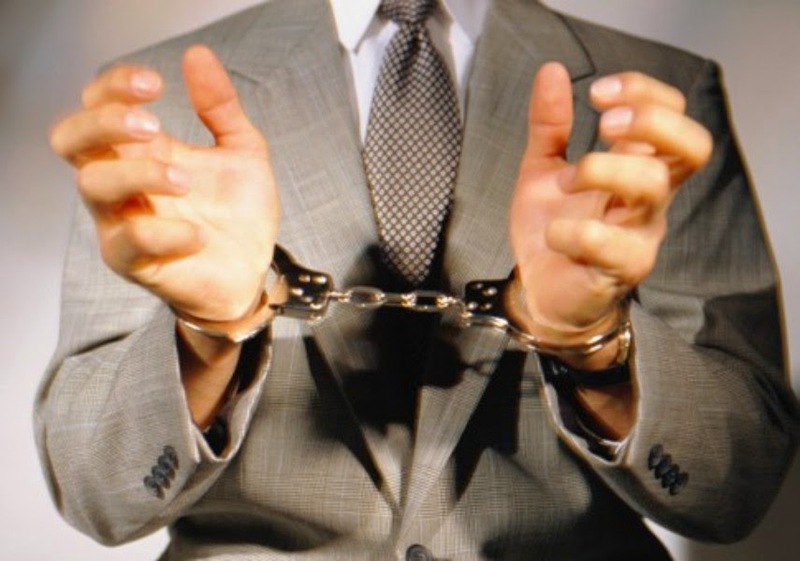 Eric St-Cyr, an investment advisor, and Patrick Poulin, an attorney, were sentenced today to serve 14 months in prison and three years of supervised release each for conspiring to launder monetary instruments, the Justice Department and Internal Revenue Service (IRS) announced. Senior U.S. District Judge T.S. Ellis III imposed the sentences after considering the defendants' substantial cooperation with ongoing government investigations. St-Cyr and Poulin, both Canadian citizens, along with Joshua Vandyk, a U.S. citizen, were indicted by a grand jury in the U.S. District Court for the Eastern District of Virginia on March 6, and the indictment was unsealed March 12 after the defendants were arrested in Miami. St-Cyr, 50, pleaded guilty on June 27 and Poulin, 41, pleaded guilty on July 11. Vandyk, 34, pleaded guilty on June 12 and was sentenced on Sept. 5 to serve 30 months in prison. "The sentences imposed by the court today show that those who use offshore accounts and entities for money laundering and tax evasion will be punished," said Deputy Assistant Attorney General Ronald A. Cimino for the Justice Department's Tax Division. "This investigation, which lasted years, involved extensive undercover activity as well as cooperation from multiple foreign law enforcement agencies. The undercover IRS agents in this investigation went to Canada, the Turks and Caicos and the Cayman Islands to develop the evidence. These two defendants are cooperating with the IRS, and we anticipate that other investigations will develop from the information they have provided." "These defendants played a shell game by creating offshore entities designed to help their U.S. clients evade taxes and other legal requirements, and they used that same shell game to launder purported criminal proceeds," said U.S. Attorney Dana J. Boente for the Eastern District of Virginia. "We are committed to working with our law enforcement partners to penetrate and combat these schemes wherever they occur." "Today's sentencing closes the door on a business built on skirting the law," said Chief of IRS-Criminal Investigation Richard Weber. "This investigation reinforces our commitment to investigate and prosecute criminals worldwide who conduct illegal financial transactions, launder money or attempt to conceal the true source of their income in order to evade paying taxes. This should send a clear message to those involved in this type of crime-we will find you." According to court documents, Vandyk and St-Cyr lived in the Cayman Islands and worked for an investment firm based there. St-Cyr was the founder and head of the investment firm, whose clientele included numerous U.S. citizens. Poulin, an attorney at a law firm based in Turks and Caicos, worked and resided in Canada as well as Turks and Caicos. His clientele also included numerous U.S. citizens. Vandyk, St-Cyr and Poulin solicited U.S. citizens to use their services to hide assets from the U.S. government, including the IRS. Vandyk and St-Cyr directed the undercover agents to create an offshore corporation with the assistance of Poulin and others because they and the investment firm did not want to appear to deal with U.S. clients. Vandyk, St-Cyr and Poulin used the offshore entity to move money into the Cayman Islands and used Poulin as a nominee intermediary for the transactions.